Kitzbühel, or Kitzbüehel in German, is one of Austria’s most beautiful alpine ski resort. See our videos of skiing Kitzbuhel, take a ski run off-piste, ride the impressive 8-passenger chairs with heated seats, have lunch in a traditional mountain chalet, and tour the authentic village in the valley below the three ski-able mountain peaks, Hahnenkamm, Jochburg and Kitzbüheler Horn. 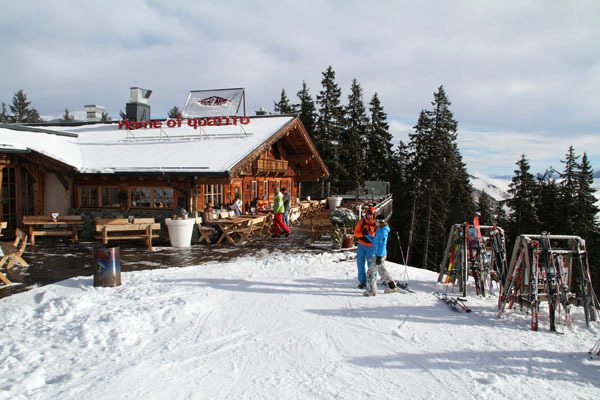 A family ski holiday in Kitzbuhel is amazing, you have to ski it and see it to believe it.